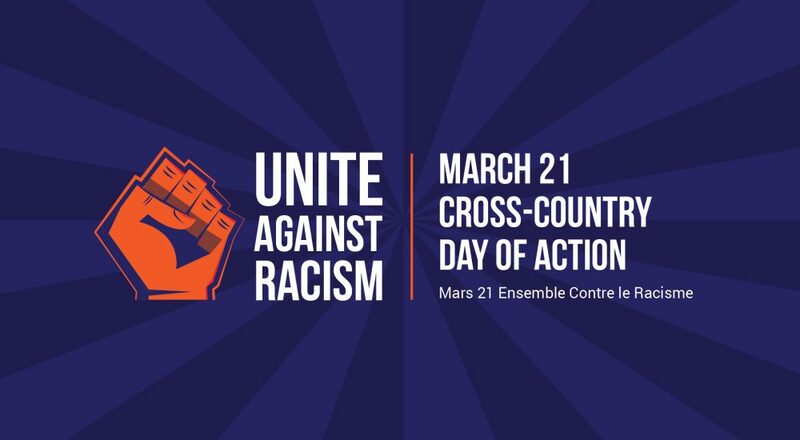 March 20, 2019 (Halifax) – Community members in Halifax will mark the International Day for the Elimination of Racial Discrimination with a rally in support of migrant justice beginning at 4:30pm on Thursday, March 21st. The rally takes place outside of the Halifax Convention Centre (1650 Argyle St), site of the 21st National Metropolis Conference for those working in the field of immigration and settlement in Canada. “We invite attendees of the National Metropolis Conference to demonstrate their support for migrant rights by joining us at this rally. We know that there will be policy makers, as well as service providers present, and we encourage them to listen to what we have to say on the changes that are urgently needed for migrant justice,” said Stacey Gomez, one of the organizers of the action, who will speak at the event. Organizers of the rally seek to counter fake news about Canada’s immigration system, and urgently demand pro-immigrant and anti-racist laws. The recent New Zealand mosque shootings in which at least 50 people have died, as well as a similar 2017 mosque shooting in Quebec give increased urgency to these issues. Additional speakers at the event will include: Billie Lewis; El Jones (Poet, professor and activist); Noe Arteaga (Migrant worker community organizer); Shiva Nourpanah (Halifax Refugee Clinic) and Darius Mirshahi (Fight for $15 Halifax). March 21st marks the launch of a cross-country alliance, the Migrant Rights Network, led by grassroots migrant and refugee groups, civil society organizations and labour unions. On this day, actions will take place throughout the country, from coast to coast. March 21 also marks the beginning of a national dialogue to create a Platform for Racial and Migrant Justice ahead of the federal election. All social, environmental and labour groups in Canada are invited to participate in this process. More information about the rally can be found here. For further information about the Migrant Rights Network and the cross-country day of action, is available here. In Canada, police reported hate crimes went up 47% in 2017. At least 300 known white supremacist organizations are currently active across the country. Over 70% of the migrants in Canada are denied full access to basic labour or social rights because of unfair temporary permits. Women of colour continue to earn far less than white men. Black and Indigenous communities are unfairly targeted by police and imprisonment. Racialized people are shut out of basic services. Meanwhile, anti-immigrant populist messaging by federal political parties increased dramatically during the recent by-elections. Clearly, Canada is not immune to the racist and anti-immigrant rhetoric which was central to national elections in the United States, and in many countries in Western Europe. Uniting against racism now is the only way forward.